Water 4 Everyone . . . a father & son story . . . Waves for Water. 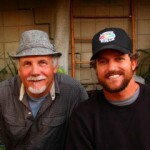 Jon Rose is currently traveling & working with the U.N. & Sean Penn’s team in Haiti – www.jphro.org Can read Jon’s daily updates from the front lines at www.wavesforwater.org. So far, Jack & Jon have distributed 10000 clean-water systems throughout the earthquake zone, and in remote regions of the country, bringing safe drinking water to over a hundred thousand people. All of us would like to extend a special acknowledgement to Dennis Haysbert, Sean Penn, Diana Jenkins, Patricia Arquette and employees of Patagonia for their extensive donations of time, talent & funds. Together we will continue to bring clean drinking water to the survivors in Haiti. 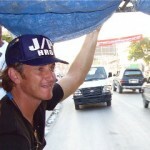 Filtering Haiti’s Water from Jarrod Holbrook on Vimeo.